Yaki-Da was a girl group dreamed up by Ace of Base member and producer Jonas "Joker" Berggren. And they were awful. I mean, what does Yaki-Da mean already? What is that squiggle logo after their name and why does it feature so heavily in their videos if no-one can understand it? Did a blind person design that cover? We will never know. All the signs indicated that, after the cod-reggae codswallop of Ace of Base, Yaki-Da were destined to be pants. However, as time has proved over and over again, crap music sells. Often, the crappier it is the more people like it (see Ace of Base). 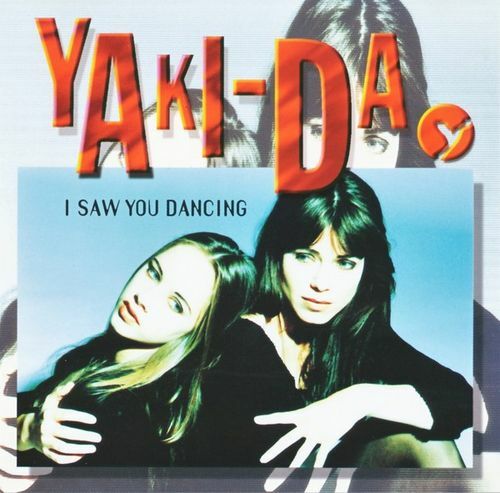 And thus Yaki-Da were thrust upon America with their début single "I Saw You Dancing", the audio equivalent of retsina-smelling vomit, accompanied by a dire video and terrible lyrics such as "Just look into my eyes / And I'll take you to paradise" or "Say Yaki-Da my love". Frankly, if my love said Yaki-Da I'd take him for a brain scan. Here's the original video so you can see and hear for yourself. Perhaps it had Mediterranean camp sites slow-dancing all summer, but I doubt that many wiggled to it outside of Sweden. Terrible, and definitely not club fodder, so Polygram decided to have it remixed by wunderkind of the time Armand Van Helden. And the incredible happened. He managed to turn it into something of pounding, glistening beauty. Ditching everything - thank God - except the 'I' of the title (because otherwise the label would have had a fit) and the line "I'll never be the same again" (quite true in this case), it's still my favourite ever Armand Van Helden remix, and I was lucky enough to be able to tell him so when interpreting for him in Paris years ago. He was already very slick and sure of himself back then, and although I don't like his recent material at all, this still gives me shivers down my spine when I listen to it (and brings back memories of amazing nights out). I Saw You Dancing reached 54 on the Billboard hot 100, a fittingly lukewarm performance. The group released a few more singles, even a second album. Shite. All of it. But at least they gave us the greatest Armand remix of all time, and for that I am eternally grateful. Yaki Da "I Saw You Dancing (Armand's Serial Killa mix)"